In my life, I’ve been all over the place, both literally and figuratively. I’m a soon-to-be recent graduate of Columbia University’s MFA Acting program. It is there where I, a person one undergrad professor called “the anti-student,” was able to hone her craft and find her voice. Constant change in my life showed me just how strong and stubborn I can be when I believe in something. Say I can’t, and I’ll prove you wrong. 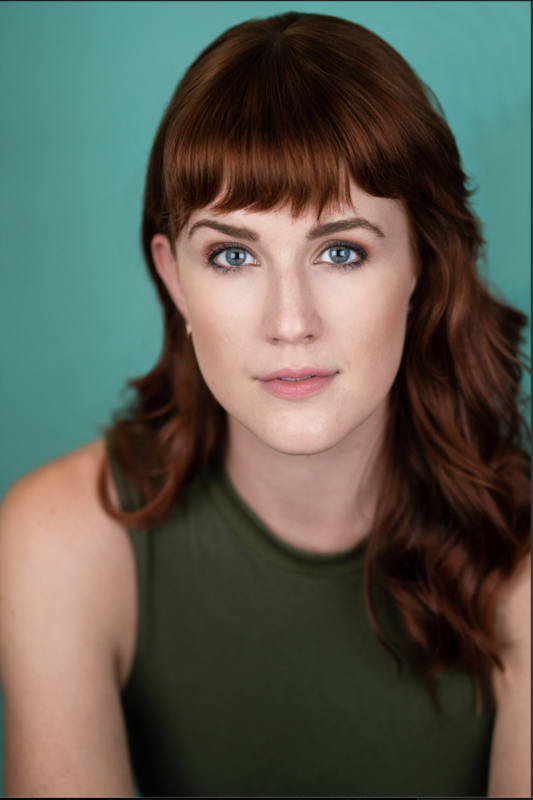 When I’m not gunning for my career, you can usually find me singing along to Florence Welch, eating cheese, watching puppy videos, trying to teach myself chords on the ukulele, and/or taking your headshots (check out my images at the links below). To see my work live, you are welcome to attend my Showcases this Spring. Left-Right: James Smart, Andres Piña, Yoni Bronstein, Dawn Clements, ELLEN BRYAN, Odera Adimorah, Tony Jadus, Manuela Sosa, Jc Nwabueze, Joey Odom, Britta Kuhn, Josh Mallin, Tamera Tomakili, Clare Mahoney, Roberto Tolentino, Laura Mercedes Martínez, Candace Boahene, Javier Padilla.